Following the success of Ireland's sold-out Summit, we are taking the event to Europe's capital of public administration. Simply complete the short form below to secure your early bird tickets. Fill out your details below and I'll be intouch to dicuss coaching with you. Why do you want to join this Mastermind. Please write freely here. You might want to share what has motivated you to complete this form. This is not shared with any third parties. If I gave you my digital magic wand, what three wishes would you like me to grant you for you and for your organisation? Are you willing to share experiences and challenges in a supportive, non-judgemental and safe environment? If you are chosen as a member of the Public Sector Marketing Pros Mastermind, are you ready to start on May 3rd? Enter you details below to join the waitlist. 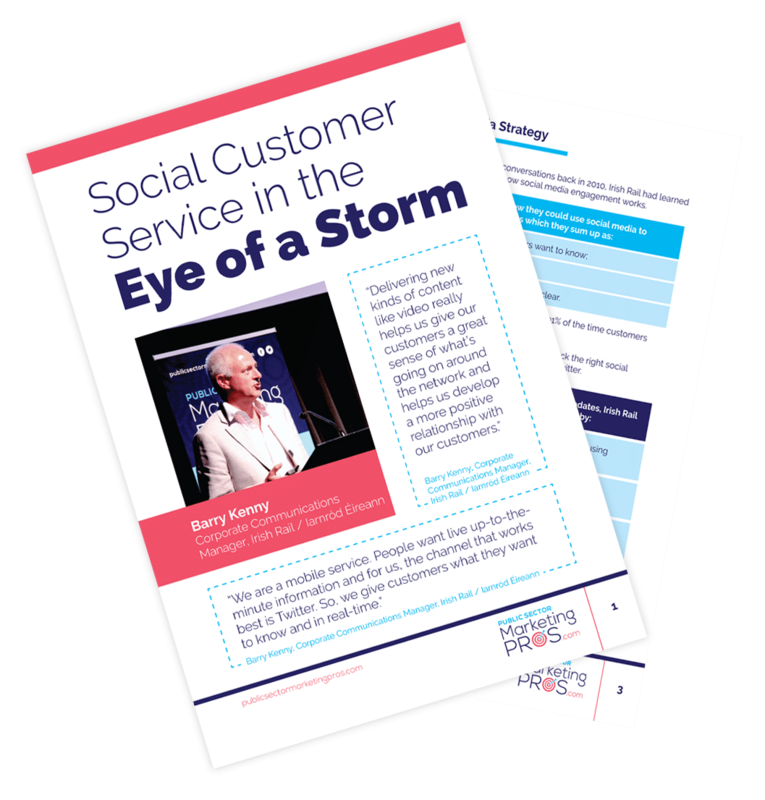 Enter Your details below to get your copy of Social Customer Service in the eye of a storm"
How many tickets would you like to reserve? Please note by registering your interest we will keep you on the waitlist. Payment is not required until 6 weeks out from the event in June 2019. We will invoice you accordingly. In order to keep you up to date with Summit news please agree to our electronic communications.